You’ll see that pulling the left end of the curve up too high will make your subject look as if she’s lost in a fog, and pulling your inner point on the curve too far can create some crazy effects. But you can play with the tone curve until you achieve the desired effect. 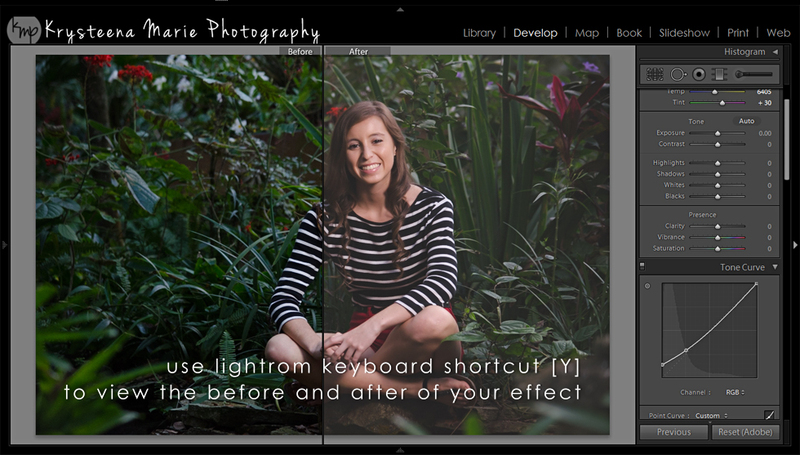 If you’re unsure if you like the look of your matte, use Lightroom keyboard shortcut [Y] to view the before and after until you get it just right. And it’s seriously just that easy! 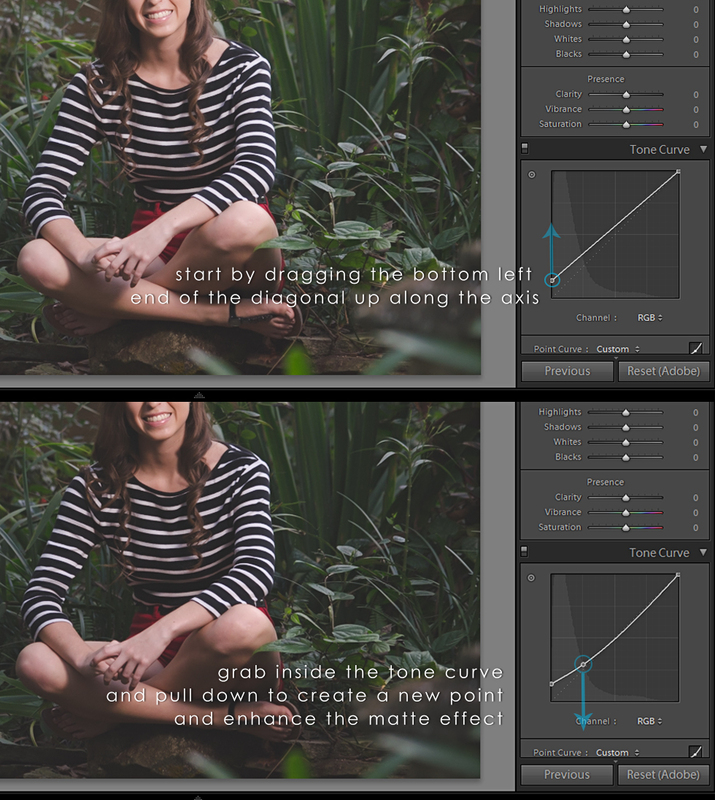 Once you’ve mastered the matte, you might want to consider making a preset of your very own to save time on future editing. 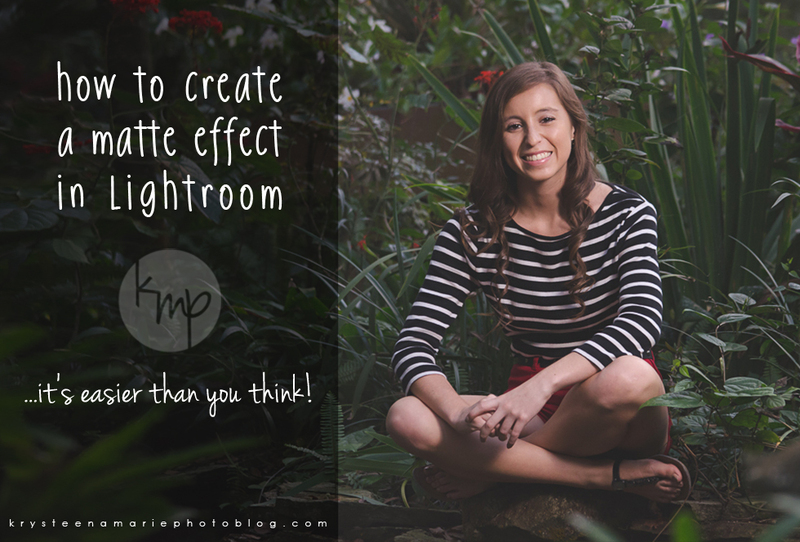 Not sure how to make a Lightroom preset? Keep an eye out for a tutorial coming soon!